Starting and ending at Frank Ogawa Plaza in Oakland, The Town's Half Marathon is a race my friend Christine and I had been looking forward to running together for some time. We met early in the morning to secure parking and heading to the starting line. It was so great to see her and catch-up! We started the race together, but I took off a little too fast and Christine told me to keep going. I did, but my early pace would end up backfiring on me. That, and the tons of water I had to drink. The course was great, and the course support even better. I really enjoyed running around Oakland, which I had never done before. We ran through Jack London Square, Uptown, Downtown, Piedmont Ave, Claremont, Lake Merritt and Grand Ave. It was at Lake Merritt that I got sick. My side hurt so badly and my stomach hurt horribly. I'd had to much to eat and way too much drink. This has never happened to me before. About that time Christine sent me a text and we ended up together again just before reaching the finish line. Despite my dismal performance, I enjoyed the race and was looking forward to the bling and post-race festival. Christine and I headed straight over to the Barefoot wine booth. Then we danced to the reggae. We hung out for a while, along with our friend Francis, discussing our race and training. I have been working out really, really, hard and I've lost a lot of weight, but something went very wrong for me out there today. I didn't win, but I still felt strong and grateful to be able to run. 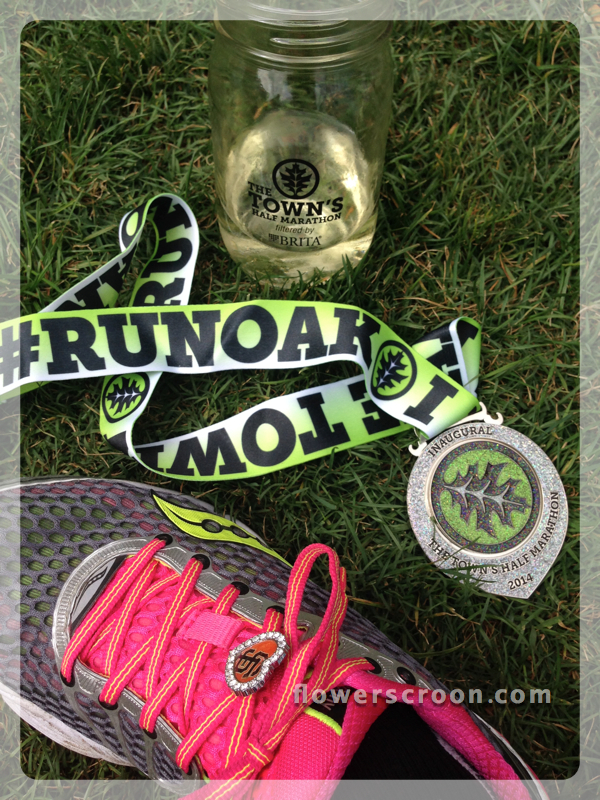 I definitely recommend The Town's Half Marathon for both the course and the bang for the buck. 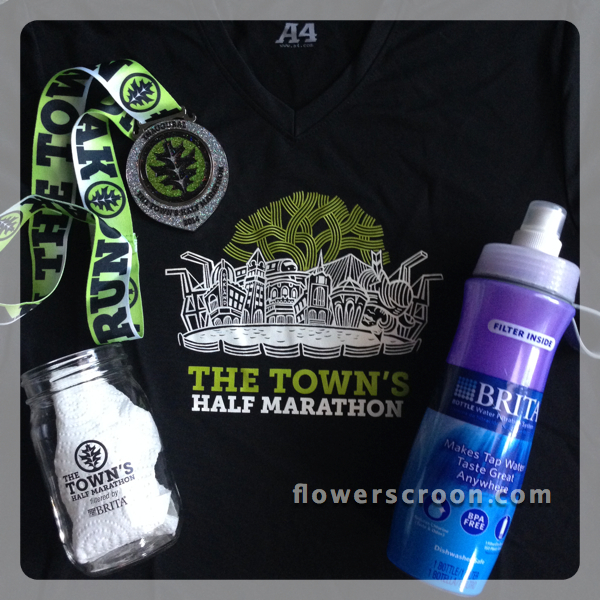 Like the Livermore Half, this race provides an excellent course, a festival, great support, sweet bling, a fab tech tee and extras. The extras for this race were the mason jar and Brita water bottle. I might run this one again next year! Thank you for a great race, Oakland!